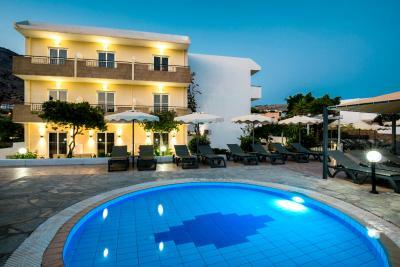 Lock in a great price for Amphitriti Hotel – rated 8.6 by recent guests! The hotel was a family run hotel, who are extremely friendly, accommodating and very pleasant people. The rooms we got had been 501 and 502, these were spotless, modern and very comfy. The pool area was lovely, quiet, and more than enough beds for everyone whilst giving you the much needed shade required for staying there in August! The restaurant was really nice, great selection and all freshly prepared and good food! A couple of minutes walk to the main strip of bars a restaurants one way and a coupe of minutes walk to Lee Beach the other! 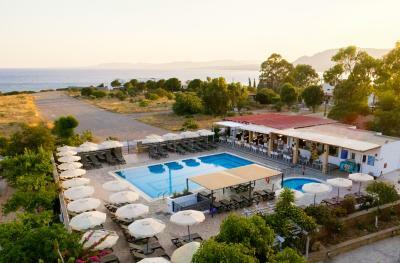 Will definitely be back and would highly recommend this hotel if you was to stay in Pefkos. Fantastic friendly family run hotel. The location was excellent ; beaches bars and restaurants all within 5 - 10 minutes walk. 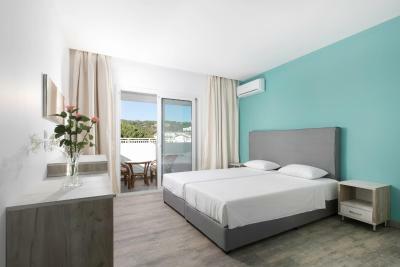 Clean comfortable room with excellent air conditioning. Excellent cooked breakfast served by friendly staff. The bar was suitably stocked and nothing was ever too much trouble. 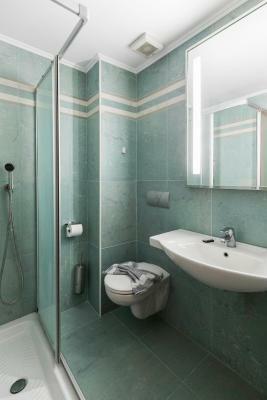 Our room had been fully refurbished and had a wet room type shower. Fantastic friendly, helpful staff. Fantastic position , close to the beach, bars and restaurants. The room was a good size and the beds extremely comfortable. The hotel is in a great location, quiet but an easy walk to lots of restaurants. 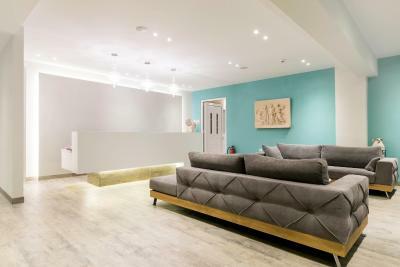 The staff were really friendly and helpful, any request was met with a smile and dealt with immediately. The staff were very friendly, the hotel was perfect, room cleaned and towels changed every day. Our maid, Suzanne was first class and the food was amazing. We will definitely be going back. 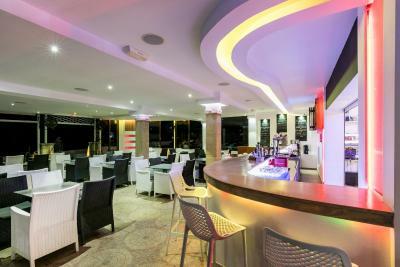 Location was excellent, very close to the beach, bars and restaurants and the waiter Henry was very attentive. This was our first visit to the Amphitriti and we cannot fault it. Look forward to returning next year. Friendly staff, relaxed atmosphere not right in the centre of town which was good but easy to walk to. Surprising lack of children which made it peaceful round the pool and surrounding areas. Ottima posizione in luogo tranquillo. Buona la pulizia. 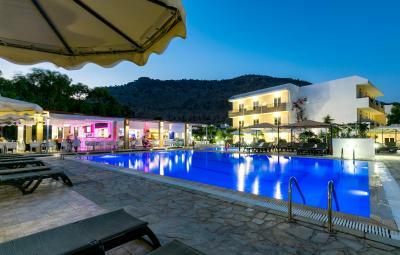 Featuring a seasonal outdoor swimming pool and a garden, Amphitriti Hotel is located in Pefki. 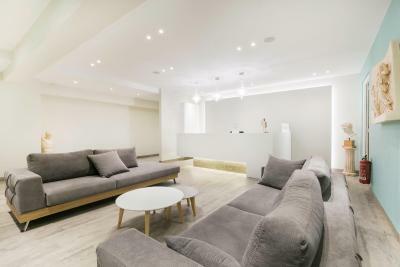 Among the various facilities of this property are a terrace and a shared lounge. The property has a restaurant. At the hotel, each room comes with a desk. 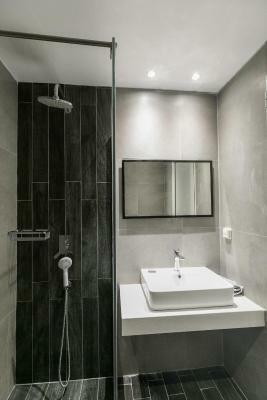 Rooms come with a private bathroom and a shower, while selected rooms have a balcony. 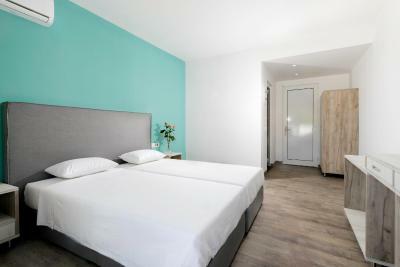 Guest rooms at Amphitriti Hotel feature air conditioning and a closet. Staff at the 24-hour front desk can lend a hand with information about the area. Faliraki is 25 miles from the accommodation. 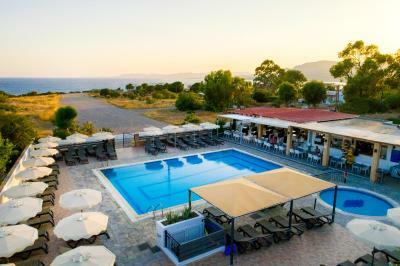 The nearest airport is Diagoras Airport, 35 miles from the property. This is our guests' favorite part of Pefki, according to independent reviews. 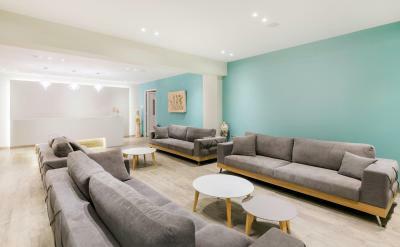 When would you like to stay at Amphitriti Hotel? House Rules Amphitriti Hotel takes special requests – add in the next step! Amphitriti Hotel accepts these cards and reserves the right to temporarily hold an amount prior to arrival. The usual selfish people reserving sun beds was the only downside. Subbed wars on some days. Our room had no view at all, the balcony looked out into a small courtyard. This didn't bother us too much as we only slept in it. If you like a mountain or sea view you would need to specify when booking!